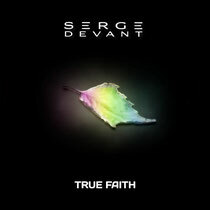 Last Tune of the Day for this week and as big fans of the New Order original, unless Serge Devant did something completely bonkers with ‘True Faith’, then we were always going to like it! This has been about for over a year now, is Serge’s third single from his album ‘Rewind’, and here he pays homage to a band he’s been a fan of for most of his years. With an original version, an edit and two mixes from LA’s Starkillers and the UK’s Paul Thomas and Luke Marsh, this should appeal to many DJs and clubbers alike. Our focus is the Paul Thomas and Luke Marsh remix, which is a big room track, full of energy and high tempo breaks and builds, complimenting the new vocal version of the song. For those too young to know it, they should still enjoy it. For those who remember the original, they should appreciate hearing it covered as a 2012 dance music tune. Soundcloud below, and although the mixes have been doing the rounds since last year, it’s officially out 15th May.